Here is one of the "Gems Of The Sierra". In early July spring comes to the meadows of Giant Forest. The grass is lush. 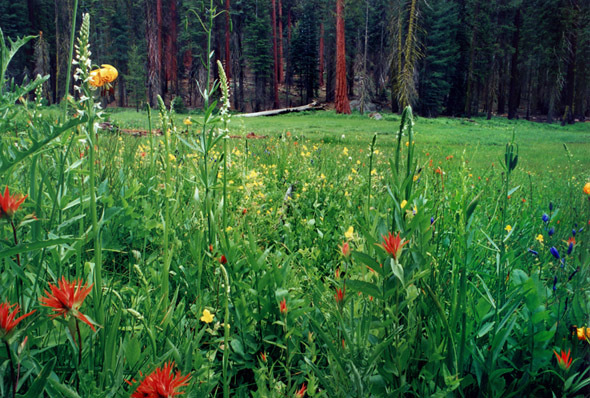 The meadow is surrounded by Sequoia Trees and wildflowers. Here in this picture are Indian Paintbrush, Meadow Lotus, Camas Lily, Yellow Monkeyflower, Bog Orchid and Kelly's Tiger Lily.